Big BoyZ Car: Honda surpasses historic 25 million sales mark in Indian scooter market! First Record in India. Honda surpasses historic 25 million sales mark in Indian scooter market! First Record in India. 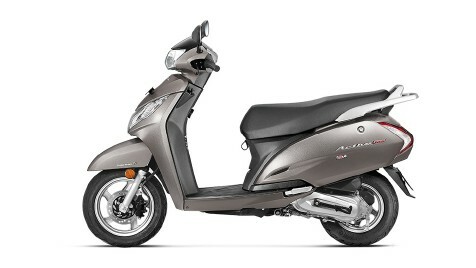 First Record in India for passing 25 Million Customer by Honda Motorcycle and Scooter India Pvt . Honda Motorcycle and Scooter India Pvt Becomes the ONLY scooter manufacturer in India to cross this milestone of 25 million sales of Scooter. Scooter interest in India is very high just due to Honda Motorcycle and Scooter. Honda Motorcycle and Scooter India Pvt. Ltd. today announced its scooter sales have now crossed the landmark 25 million milestones. Honda Motorcycle and Scooter India Pvt take 13 years to sale 10 million and next 10 million customers in just next 3 years. Adding the next 5 million within 1 year, now Honda Motorcycle and Scooter is the only scooter manufacturer in India which have over 25 million customers and this is the industry first record! Scooterization stated 16 years back when Honda launched the Active in scooter segment. In 2001 Honda Motorcycle and Scooter India Pvt have 10 % sale contribution which is currently reached at 32% in 2018. Honda has the largest scooter portfolio in the industry with India’s top-selling Activa to the premium 125cc range including Activa 125 & GRAZIA.Now Honda is No.1 scooter selling two-wheeler brand of India with market share 57%. In many cities this market share reached to 60 % like Chandigarh, Goa, Kerala ETC. In India every 2nd scooter sold is from the brand of Honda Motorcycle and Scooter India Pvt. In coming days, we will see this growth will remain continue and in coming years we will see 10 million sale landmark in a single year from Honda Motorcycle and Scooter India Pvt. Honda Motorcycle and Scooter India Pvt launched the biggest & 100% digital loyalty program in the history of 2Wheeler industry - Honda Joy Club. Compared to 2017, Honda Motorcycle and Scooter India Pvt sales jumped by double digit growth of 12% from 4,66,552 units to 5,21,159 units this year. Honda’s domestic sales closed at 4,90,124 units in October 2018 compared to 4,37,548 units in October 2017. Scooter sales grew by 10% from 2,93,117 units in October 2017 to 3,22,108 units in October 2018. Overall, Honda’s exports too have grown 7% from 29,004 units last year to 31,035 units this year.